The Senate reconvened for week two after a day off in observance of Martin Luther King Jr. Day. This week was dedicated to Senate and House Appropriation Committee’s budget hearings. Governor Nathan Deal and Georgia’s various agencies outline their policy and budget proposals to the committee members. We also heard from several state economists who presented a positive outlook of Georgia’s economy. They echoed the Governor’s remarks that our state remains number one in the nation for business growth. We are at near full employment and our Rainy Day fund now exceeds $2 billion. On Tuesday, Governor Deal elaborated on the budget plan he introduced last week in his State of the State Address. Among the governor’s recommendations for the Fiscal Year 2018 (FY18) general budget is a $2 billion allocation for transportation funding. These funds will go towards improving and upgrading aging aspects of our transportation infrastructure, such as road repaving, road expansions and bridge repairs. These upgrades will ensure that our state’s roadways remain safe and easily traversable for all those who travel in or around our state. Education has been and will remain a top priority for us this year. Our graduation rates are at an all-time high and our test scores are outpacing the national average. In order to keep up with the growing demands of our public education system, Governor Deal has recommended an additional $133.2 million for enrollment growth and training, as well as $240 million in bond packages to fund the construction of new schools and school equipment. The HOPE scholarship remains an important pathway to higher education for so many of Georgia’s students and the governor has recommended an additional $49.3 million in order to ensure that pathway remains open. You can find Governor Deal’s proposed Fiscal Year 2017 amended budget and the Governor Deal’s proposed Fiscal Year 2018 general budget online at https://opb.georgia.gov/. In the coming weeks, we will begin to hold committee meetings in order to individually evaluate legislation. Your feedback is important to my work on your behalf, so please continue reaching out to discuss legislation with me. I take every phone call, email or office visit into consideration when casting my vote in the Senate chamber. Please do not hesitate to call or email me at any time. I am in office to serve you! Sen. Steve Gooch serves as Majority Whip of the Senate Majority Caucus. 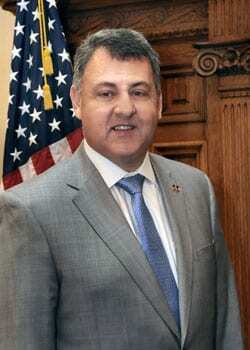 He represents the 51st Senate District which includes Dawson, Fannin, Gilmer, Lumpkin, Union and White counties and portions of Forsyth and Pickens counties. He may be reached at 404.656.9221 or via email at steve.gooch@senate.ga.gov. On Tuesday evening, Gov. 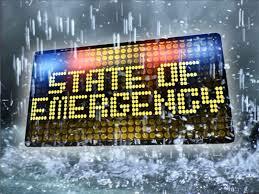 Nathan Deal issued a state of emergency for 15 counties under a winter storm warning. These counties include Dade, Walker, Catoosa, Chatooga, Whitfield, Murray, Gordon, Fannin, Gilmer, Union, Towns, Pickens, Dawson, Lumpkin and White Counties. Following heavy rains, thunderstorms, and flooding Georgia Governor has declared a State of Emergency in three counties in north Georgia, Fannin, Pickens, and Gilmer Counties. More severe weather is in the forecast for Christmas day. 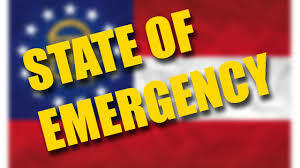 Governor Deal has stated they will continue to monitor the situation. Additional counties may be added. Gov. Nathan Deal today announced the appointment of the Honorable Amanda H. Mercier, the Honorable Nels S.D. Peterson and the Honorable Brian M. Rickman to the Georgia Court of Appeals. These new Judgeships were created by the passage of HB 279 during the 2015 legislative session. The terms of the new judges will begin Jan. 1, 2016, and will continue through Dec. 31, 2018. Mercier currently serves as a superior court judge within the Appalachian Judicial Circuit. She earned a bachelor’s degree from the University of Georgia and a law degree from Syracuse University College of Law. She and her husband, Joseph, have one child and reside in Blue Ridge. Peterson currently serves as vice chancellor for legal affairs and secretary to the Board of Regents. He previously worked at the Georgia Department of Law and established Georgia’s first Solicitor General Office where he served as solicitor general. He was also the deputy executive counsel and executive counsel for Gov. Sonny Perdue. Peterson earned a bachelor’s degree in Political Science from Kennesaw State University and a law degree from Harvard Law School. He and his wife, Jennifer, have two children and reside in Marietta. Rickman currently serves as district attorney of the Mountain Judicial Circuit, where he was previously an assistant district attorney. He is an adjunct professor and serves on the board of trustees at Piedmont College. Rickman earned a bachelor’s degree from Piedmont College and a law degree from the University of Georgia School of Law. He and his wife, Maggie, have two children and reside in Tiger.